A remote and ice-covered coast plays a small but significant role in Not Dark Yet. This summer I was so lucky as to visit such a place. This image is taken at Torellneset on Nordaustlandet in eastern Svalbard, an archipelago in the Norwegian Arctic. Nordaustlandet is the second largest island in the archipelago, and is covered by the second largest ice cap in Western Europe, Austfonna. We were lucky enough to set foot on a small side glacier of this ice cap. Nordaustlandet is completely uninhabited and only accessible for a few months each summer when the sea ice is open. 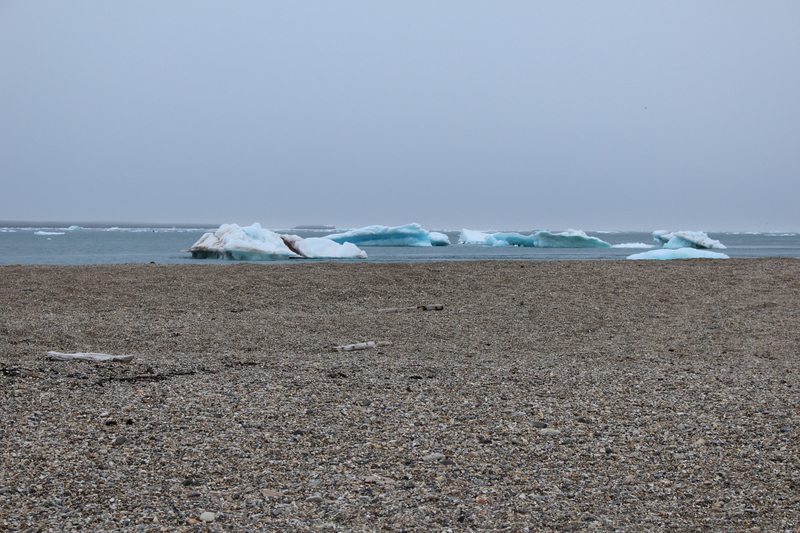 It was a place with almost mythical qualities, especially in the gray and foggy weather, with the blue sea ice and the walruses sleeping on the beach. Thank you so much, Frankie! It’s a stunningly beautiful place. I hope we get to go there sometime! ← The Humanity Of Monsters is out!